Board game names used for retail stores and/or products. I had this thought today while thinking about the name Merchant of Venus. The more I thought about it the more it sounded like a women's speciality perfume and body scrub kiosk. This led to this list. What other games can be used as a business title to sell products? Please add to it as you wish! This is my first geeklist. Here's hoping for the best! Here you will find many exotic scrubs and bath salts to calm the mind and refresh the body. Results may vary. May take up to four hours to receive the full effect. Have trouble putting into words the bliss you experience while around that special someone? let Love Letter, the romance specialists pave the way. We specialize in customized greeting cards that say I love you in a unique and personal way. We Also provide singing telegrams when words aren't enough. Spring time is often a hard time for anyone to go out side and enjoy the day. With dust and pollen I the air, allergies become the weight of any work day. Try Agricola! Allergy relief for the working individual! Formulated to help those farm workers wake up early and be at ease knowing they can get the family fed with no trouble from dust. Japanese restaurant, specializing in dishes that incorporate bamboo. Possibly trendy with a dance floor as well. 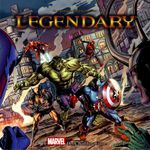 "Legendary" would be a great name for a comic book shop. 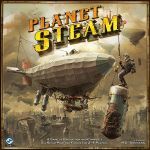 Planet Steam! The premiere coffee shop where espresso is the fuel of life! Upon entering our doors, you are taken to another world with a motif of a time where space travel was but a dream. Enjoy turn of the century film while enjoying your joe with memorabilia that only stirs the imagination. Forbidden Island! The newest name in surfboard shaping. At Forbidden Island surf, we use traditional shaping techniques that the ancient Hawaiians developed while still having a few fresh ideas. Stop by and have a taste of Forbidden Island surf! Caylus: Classic French Cuisine at discount prices. Payless at Caylus. Too much junk in the garage? Does your backyard look more like a scrap yard? Then call Castaways recycling and disposal! We will remove all unwanted junk at low prices to free up that space again!